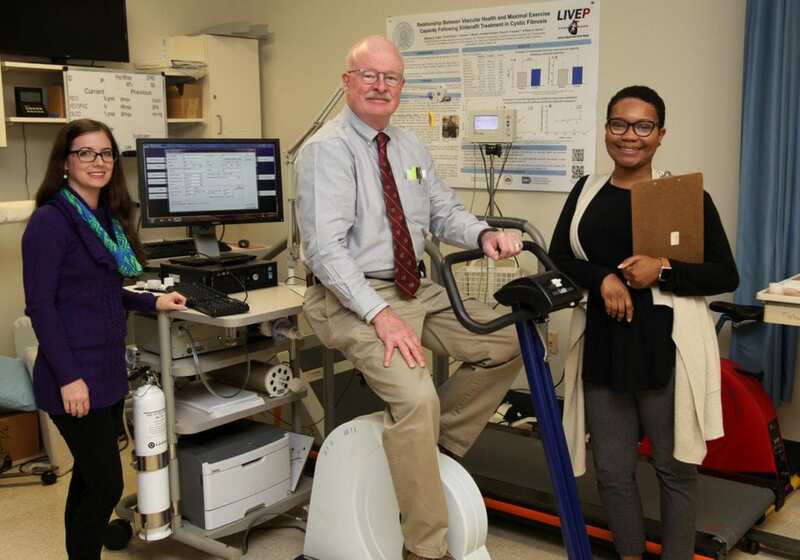 AUGUSTA, Ga. (Dec. 19, 2018) – Aerobic exercise can improve the size and function of the brain, and now investigators want to know if it can also improve cognitive function in patients with schizophrenia who struggle with memory and attention problems. Investigators will not only keep tabs on weight, but changes in levels of good and bad cholesterol as well as total cholesterol, fat levels in the blood as well as hemoglobin A1c – which indicates your average blood sugar levels over the past three months – as well as fasting glucose. While the cause is unknown, there is widespread disturbance in the complex brain circuitry that underlies cognition, initiative and emotional interaction in these patients, McEvoy says, of the condition that affects about 1 in 100 individuals. While there may be subtle symptoms lifelong, as children grow into their teens and early 20s, corrupted circuitry involved with the release of chemical messengers like dopamine can create an imbalance – the latest theory is there is too much in some areas; too little in others – that results in problems like hallucinations and delusions. One way current antipsychotics help patients is by helping correct the imbalance, but in addition to weight gain, the drugs also can further sap energy and initiative, McEvoy says.